Is there any way or work-around to being able to track engagement on a piece of video on a Pardot Landing Page, then attributing a completion action depending on the level of engagement? Every time I log into my full copy sandbox, it opens in lightning experience. Which we are still years away from being able to implement. I switch back to classic experience, but when I log in again, it's back to Lightning. How can I stop this? Can we use https urls in Pardot? I've been using a normal http vanity url for most of my forms and pages without problems, but now they want to include a Pardot form inside an iFrame on a page with https and browsers won't show the form because it is not secure. -> This used to work, but last week suddenly all of these stopped working for at least an entire day so I'm a bit afraid of the stability? Is it ok if we use this kind of https urls? And can we perhaps get a https-version of our vanity url somehow? Can I remove time-based workflows once assigned (continue to push out status change if we get an invoice)? I'm looking to update an Status field on the Account record which is dependent on whether they have received an invoice in the last 60 days. The field update would look like "Update Status to 'Prospect'". I can't have a workflow update the records, because it would need to be "touched" or "saved" in order to fire. I am looking into writing an APEX Trigger with some sort of logic like "IF(TODAY() - Last_Invoice_Date > 60)", but am a novice when it comes to triggers. I also wanted to consider time based workflows, but it would need to be triggered everytime we get an invoice for 60 days out, then if we get another invoice, it would need to update the trigger for another 60 days out and cancel the update that was previously scheduled. Any help finding the best option would be greatly appreciated. Thank you! 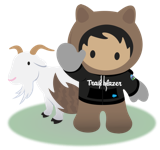 "Salesforce recalculates the time trigger as long as the time trigger has not yet fired and the recalculation does not reschedule the time trigger to a date in the past." Recommendation to Learn SFDC related programming languages.. I am trying to Learn Apex from Scratch, I have cleared Admin Certification 2017 Spring recently, but almost Zero in Programming, Hence request to suggest the resources which would help me to Learn Apex and other programming languages required on sfdc.. Thanks..
Im trying to get a high level explanation on the difference between Automation Studio and Journey Builder. Same question here--looking for some practical experience with both tools. Are there any clients that have any feedback? I'm building out a set of e-mails events. The series includes a confirmation, reminder, and thank you email. I also need the ability to include an event update / cancellation email. I know this is something that isn't doable with ET's Programs, or Automation studio and am unsure if this could be accomplished with Triggered Sends. Would Journey Builder be able to accomodate a campaign such as this, or would the update / cancellation messages be manual sends only? I want to get notified whenever the release is happening.I believe the next release is spring for that I need to be intimidated before and for the consecutive release. Is there a way to do this. Prasanth - my medium of choice is Twitter for this. I follow the official Salesforce feeds, all the MVPs and others associated with Salesforce. It never fails - I always know dates like this well in advance. Also, the calendar at https://trust.salesforce.com/trust/calendar will show you the upcoming releases. Looks like Jan 9 and 16 for some instances, and then Feb 6, 12 and 13 for the rest. Please mark it as "Best Answer" right below the comment if it gives you an idea regarding your solution so that it will help others if they have similar issues in future. _JourneyActivity Data View is Empty? I have journeys deploying emails in my Salesforce Marketing Cloud instance. According to all of Salesforce's documentation (specifically this page: https://help.salesforce.com/articleView?id=mc_as_data_view_journey_activity.htm&type=5), I should be able to query the _JourneyActivity data view. But I get no results. There's no error saying that the column or field doesn't exist. It's just blank. How can that possibly be when I have Journeys and Activities related to those journeys?